The Poison Spyder JK Lower A-Pillar Light Mounts for Jeep Wrangler JK 2007-2016 provide a convenient way to mount a pair of off-road lights on to the lower A-Pillar area of the Jeep JK. Designed specifically to fit the Rigid Industries Dually or Dually D2 LED lights, they may also fit other brands of compact off-road lights (the light mounting hole is 7/16 inch). 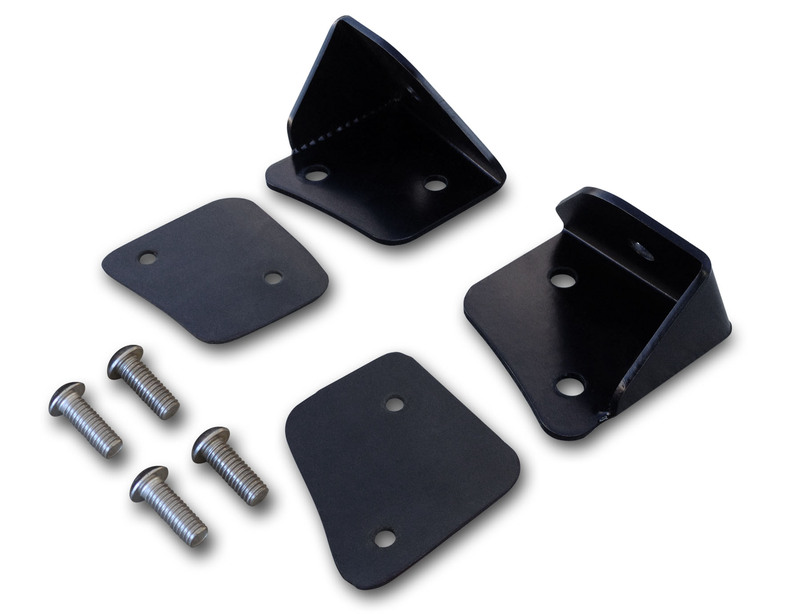 The brackets are CNC laser cut and brake-formed steel, powdercoated semi-gloss black. They are sold in pairs and include rubber liners to protect the Jeep paint.